Ah look, the start of a four day weekend and all that is needed now is a hot male as the icing on the cake. And I wondered if perhaps I had been overlooking something all these years? 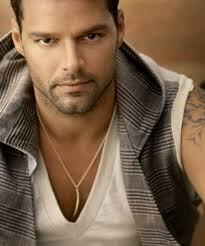 So why not take a look at Ricky Martin and tell me what YOU think. If he would let me, I would nom him. totally. I hadn't taken much notice of him before but after this...NOM! Gotta say a bit fat VOM, he's just a bit....I don't know how to describe what I don't like....he just comes across a bit smarmy and pretty. He's my Dora!! aka, responsible for every Spanish word I know. I still know all the words to Livin' La Vida Loca in Spanish, that album was on repeat for MONTHS. I joined his fan club n'all. He's lovely, seems so nice too and he's just NOM. Nom nom nom nom nom. And a bit more noms. My god I actually love this man. 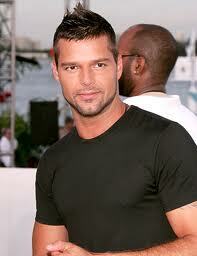 In love with this man. Perfect in every single way. I have all of his albums (including all of the Spanish ones) walked down the aisle to Private Emotion and want Vuelve (my favourite song) to be played at my funeral. 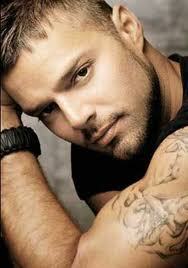 I would nom him all up...mmmmmmmmm.